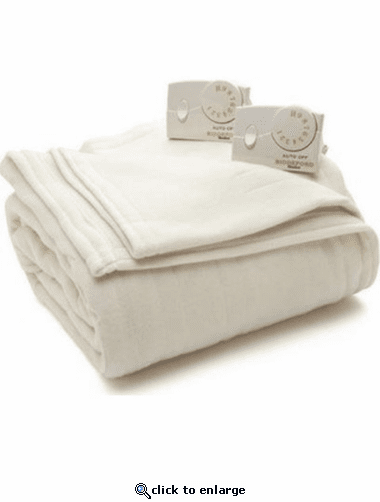 Biddeford brings you the warmest and most cuddly heated blanket made from the softest 100% polyester plush fabric. The perfect item for those long cold winter days and nights! The 10 personal heat settings with analogue controller allows you to set the temperature to your perfect comfort level. It also features a 10-hour automatic shut off for added safety. Machine wash and dry. Comes with a 5 year warranty. Stored and packaged in reusable zip bag with handle.